These lightweight training hurdles have a single supporting leg that rotates to either side of the hurdle for quick set up, as well as for easy storage and transport. 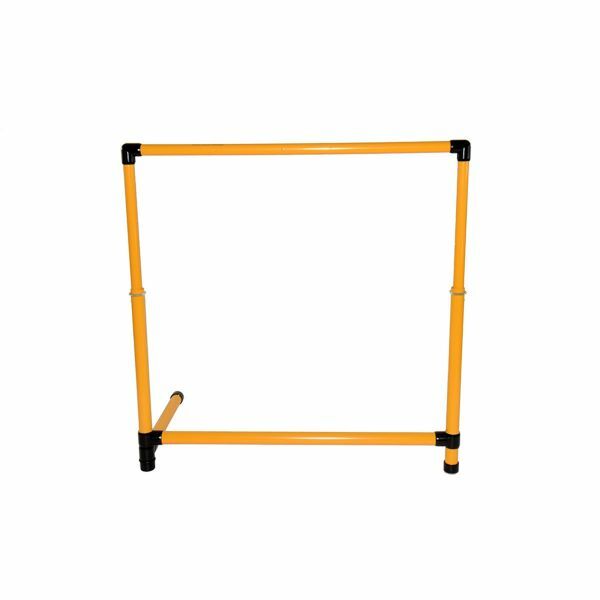 Use for over and under hurdle walks, hops, jumps and more A 3-point base system ensures the hurdle remains steady even on uneven turf and decreases chance of stepping on legs when hurdles are close together. Made from heavy duty Yellow/Black PVC.